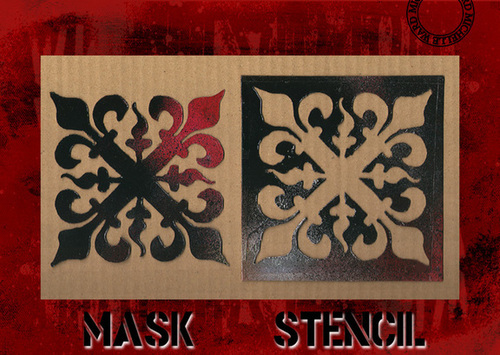 Illustrating the difference between a mask and a stencil. These are custom cut with a heated tip tool. It's really cool when you come up with a design where both the inside and outside can be used.